WHY IS MY CAT GOING BALD? 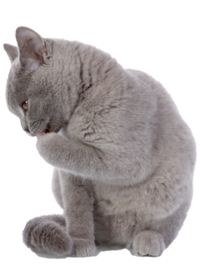 1. itch leading to overgrooming - common causes of itch in cats are allergies, in particular, flea allergy is very common in cats. 2. Stress causing overgrooming - It can be very tricky to tell if an overgrooming cat is affected by itch or stress. 3. Disease of the hair follicle in the skin causing the hair to fall out - One of the most common causes of this in cats is Ringworm a fungal infection of the skin. 4. Systemic (widespread) disease in the body with hair loss as a symptom - This is an uncommon cause of fur loss in cats as diseases like Cushing's disease that cause hair loss are rare in cats. 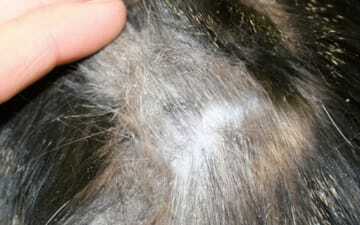 Bald patches or areas with thinner fur appear. The underlying skin of the area concerned can seem normal or it can show redness, bumps, scabs or crusts. The type and location of the lesions can sometimes give your vet a clue as to which underlying skin issue your cat has so it's useful to note the areas first affected by hair loss and crusting and share this information with your vet. There is one site on a cat's body where thinner hair is normal- between the eye and ear so if you see symmetrical thinner fur in this area it may be a normal finding. Ask your vet to check if you are unsure. Consult your vet to identify the underlying cause.  The type of treatment needed will vary a lot depending on the diagnosis - some conditions like wounds or infections may require a single treatment course others will require long-term management as conditions like allergies persist throughout the cat's lifetime. Help control the skin condition by using a high-quality shampoo or mousse to soothe the irritation and to restore the skin's ecosystem. Itchy and allergic cases will benefit from special formulas for irritated, itchy and sensitive skins. Feed your cat a high-quality, balanced diet. Supplement with essential fatty acids, vitamins and minerals if and as recommended by your vet. If your cat seems anxious or stressed, ask your vet for advice about stress-relieving feline pheromones. For advice on recognising stress in cats, check this App. Schedule regular check-up consultations with your vet to monitor your cat's skin condition. Recovery can take time and some of the conditions described will recur. You can take pictures affected skin to show the changes in the skin with time.